The sandwich is one of the easiest things to pack if you are looking to brown-bag your lunch. But sometimes that exact same turkey and cheese or peanut butter and jelly can get very old very quickly. I know that for myself, if I don’t have a good variety in what I pack, I’m more likely to break down and spend my hard-earned money on unhealthy choices. Tangy goat cheese packs a powerful taste punch, and pairs beautifully with peppery arugula and sweet roasted red peppers. Sliced avocado can really take that turkey sandwich to the next level of yum, especially mixed with a chipotle mayo and a slice of pepper jack cheese. Variety in your veggies can change the flavor and increase the nutrition. Try spinach or kale instead of plain iceberg lettuce; add sprouts and cucumbers for crunch; caramelized onions instead of raw; pickled carrots for that vinegary bite. The spread you choose can also change the whole flavor profile. Fig jam creates a whole different sandwich than a garlicky mayonnaise. Caesar dressing adds a punch to a chicken sandwich while pesto can really improve a Caprese mixture. roll, a croissant, or nine-grain bread. And don’t forget to mix up the sides. 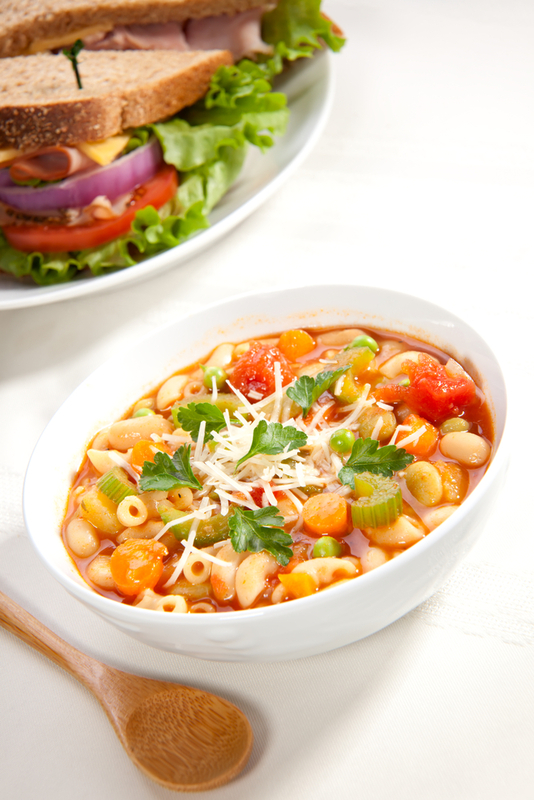 Pasta salad is much more filling than potato chips; seasonal fresh fruit adds sweet nutrition; a small cup of soup can really fill the tummy. If you’re worried that you sandwich might get soggy before lunchtime, prep it smartly by packing wet ingredients separately from dry ingredients and assemble the whole thing fresh when you are ready to eat. Varity is the spice of life, no matter what you pack to eat! This entry was posted in Diet and tagged BeautyFrizz, Brown Bag Lunch, Delicious Pasta Salad Recipes, diet, diet tips, Food Recipe, food to go, foodie, Foods You Love, Healthy Diet, Healthy Eating, healthy food, Lunch Recipes, Sandwiches, soup, Substitutes for the Foods You Love.